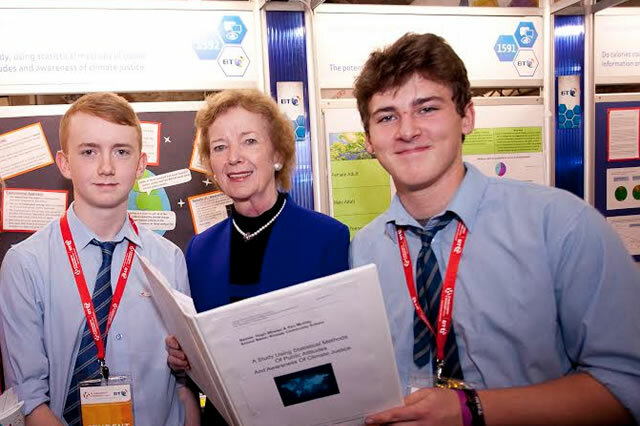 The BT Young Scientist and Technology Exhibition will feature an award for Climate Justice it was announced by Mary Robinson, President of the Mary Robinson Foundation – Climate Justice. In its 51st year the BT Young Scientist & Technology Exhibition is the final stage in a competition that spans science, technology, engineering and mathematics subjects. It is open to all second level students from Ireland, both North and South. As well as the 550 student projects which are presented by over 1200 students there are a further four exhibition halls filled with science and technology based exhibits and entertainment, that are free to explore by competition entrants and general visitors.